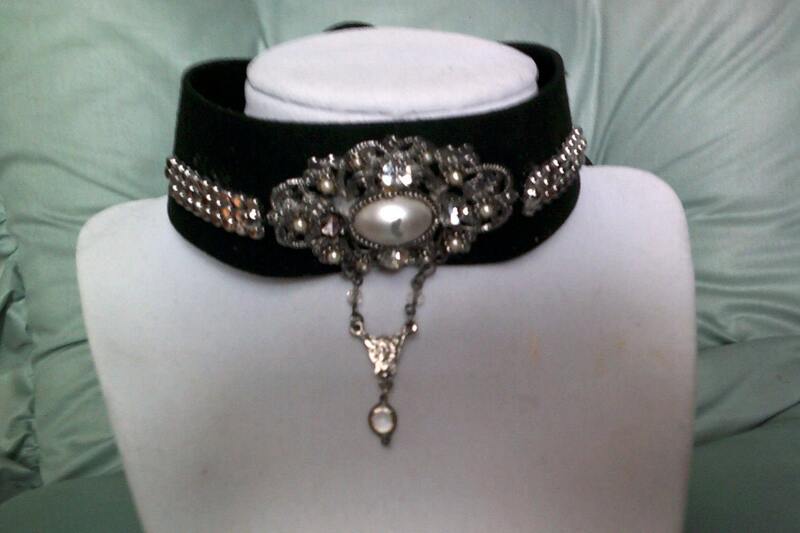 Victorian Steampunk Choker, Goth Black, One-of-a-kind. 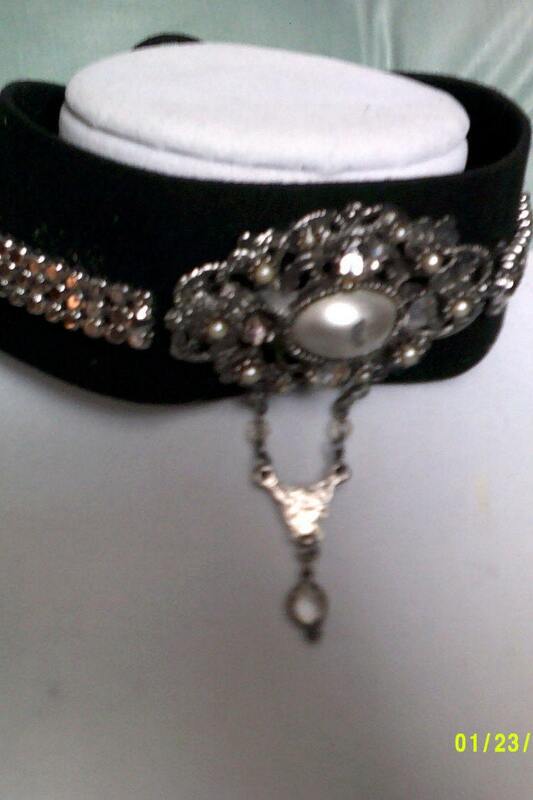 Handmade Silver & Faux Pearl Victorian Choker. Makes a lovely Christmas gift.